I knit mine out of one skein of Skinny Bugga! 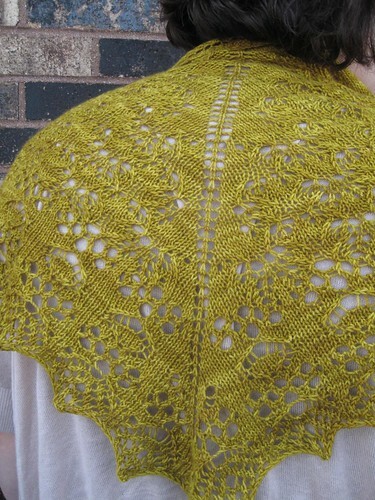 from Cephalopod Yarns. Mine is in the Chester Cricket colorway. 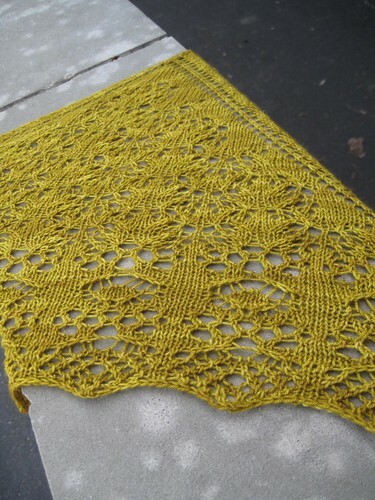 The shawl currently out there as a free pattern in four parts, but come April 7th, when the KAL is officially over, it will be converted to a regular paid pattern. 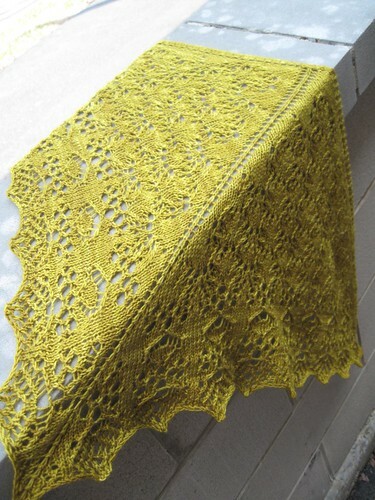 If you want to see lots of pretty shawls, hop over to this thread in my Rav group to see them all. I have been drooling over my keyboard at all the shawl prettiness!